IoniCell for Women, with our patented fulvic ionic ingredient, Ioniplex, is a remarkable product and we are pleased to be able to provide its cellular health benefits to our neighbors across the Atlantic. Victoria Health, a major online retailer in the United Kingdom (http://www.victoriahealth.com), has named IoniCell for Women (Mineral BioSciences, Goodyear, AZ) best selling supplement of the year. IoniCell for Women was launched in March of 2018 and was immediately picked up by Victoria Health, breaking sales records throughout the remainder of 2018. “Launching on the April newsletter, IoniCell bounced into our lives as the next-generation skin, hair and nails product. Except it is so much more. Re-affirming our strong belief in the efficacy of Humic-Free Fulvic Acid, this supplement is a total superstar. Powered by Ioniplex, a Fulvic ionic mineral that contains up to 65 essential, macro and trace minerals, it helps protect against cellular damage, increasing cellular energy, it is a powerful natural antioxidant, it helps detoxify cells and it ramps up the effectiveness of all other supplements. 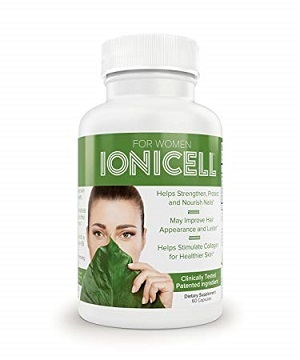 In the U.S. IoniCell for Women is currently available on our website: https://protectcells.com, on Amazon.com and in Schnucks Markets in the Mid West.